Thank you to this year's volunteer judges! Henry Buchanan (Comics division) is the owner and manager of Juniors Comics, one of the oldest comics shops in Austin (28 years). An avid comic collector, Henry has been collecting comics with his father since he was 4 and spends all his free time reading comics, watching comics based movies, discussing comics, and hunting down rare issues. He resides in South Austin with his wife and 3 children and hopes that they will continue the family tradition. Belo Cipriani (Non-fiction division) is an award-winning author, prize-winning journalist, and the founder of Oleb Books—a disability press. His writing has appeared in the Seattle Post-Intelligencer, San Francisco Chronicle, Houston Chronicle, Business Insider, HuffPost, and elsewhere. Cipriani has lectured at Yale University, University of San Francisco, and the University of Wisconsin at Whitewater. Learn more at www.belocipriani.com. Former P2P contestant Mel Finefrock (Poetry division) carries first place awards in poetry with "Optical Illusions" (2012) and prose with "Miles to Go" (2016). In addition, she has published her own book of poems entitled Patchwork Poetry and sometimes appears on popular blogs including the Mighty, the Huffington Post, and elephant journal. She is also the basis for blind protagonist Janie Jansen in Melissa Foster's Touched by Love. Watch Mel read her poems as the featured author at the August 2018 Lion & Pirate open mic! Becky Garcia (Fiction division) Becky Garcia is the manager of Malvern Books, where she generally tries to make sure the wheels stay on the Malvern bus. As a librarian, she reads every chance she gets, (she carries a "traffic light" book in the car), especially to review copies of new books sent out by publishers. When she loves one, she'll hound Joe until he buys it for the store. Becky holds an MLIS, MBA, and a PMP (Project Management Professional certification). A native Texan, she has lived in Austin since the 80's and grew up in San Antonio (Go Spurs!). She loves dogs. And her husband is really nice too. Heidi Johnson-Wright (Fiction division) is a seasoned free-lance writer and an ADA compliance professional. She is a contributor to the anthology, Firsts: Coming of Age Stories by People with Disabilities. Published by Oleb Books, the anthology will be released October 1, 2018. Heidi's non-fiction short story "Crip Cargo" won the 2017 Pen 2 Paper Grand Prize. 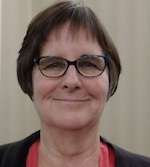 Dianne King (Non-fiction division) is a writer for SAFE Disability Services in Austin, which works to stop abuse against children and adults with disabilities. 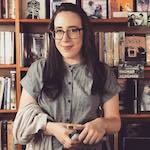 In her off time, she is a short fiction writer who recently ended a troublesome relationship with a young adult novel. Her short fiction has appeared in American Short Fiction, American Airlines Magazine, and Glimmer Train Stories. Her story, "Small Speaking Parts," won the Glimmer Train Open Fiction contest in 2003. She is a former journalist and feature writer for Texas newspapers, including The Austin American-Statesman. Michael Noll (Fiction division) is the Program Director of the Writers' League of Texas, where he plans and organizes in-person and online classes, monthly panels at BookPeople, and the annual Agents & Editors Conference. He is also editor of the craft-of-writing blog Read to Write Stories and author of the forthcoming book The Writer's Field Guide to the Craft of Fiction. His short stories have appeared in American Short Fiction, Chattahoochee Review, Ellery Queen Mystery Magazine, Indiana Review, and The New Territory. His story, “The Tank Yard,” was included in The Best American Mystery Stories 2016. 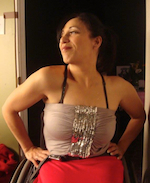 Maria R. Palacios (Poetry division) is a feminist writer, poet, author, spoken word performer, polio survivor, and disability activist whose message of hope and empowerment pulsates and breathes through her work. Maria's work has been featured in anthologies, articles, audio interviews, and other multimedia publications. Her work embraces self-acceptance, empowerment, and social justice surrounding women with disabilities, gender, and sexuality and a wide spectrum of issues as they relate to diversity. Her publications including Criptionary: Disability Humor & Satire, Dressing Skeletons: A Poetic Tribute To Frida Khalo, Poetic Confessions Vol. I, and the now out-of-print The Female King, as well as two empowerment journals for women and young girls, and The Big Little Black Book: An Address Book Revealing What Women Want Men To Know. Maria is also the founder of Houston’s Women with Disabilities Empowerment Forum and Grand Prize winner of Pen 2 Paper 2013. 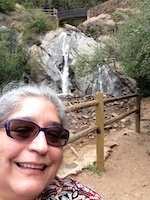 To learn more about Maria R. Palacios’ work and ongoing projects, you may visit her at goddessonwheels.com or our guest blog. Watch Maria read her latest work as the featured author at the May 2018 Lion & Pirate open mic! Kelsey Williams (Fiction and Comics divisions) holds a B.A. in English and Philosophy from the University of Texas at Austin. She works as the Member Services Manager / Program Coordinator for the Writers' League of Texas, and as Reviews Editor for fields magazine. She has experience working for the Texas Book Festival, Austin Bat Cave, Malvern Books, Half Price Books, and Feminine Inquiry. Her fiction has been published in Strange Romance Zine. In her free time, you can find her writing ghost stories and trying her best. Mark Williams (Poetry division) runs a construction firm operating across Arizona and Texas, where he lives with his wife and dog. He holds a PhD in Rhetoric, and is currently enrolled in the MFA program for poetry at New York University. His scholarship has appeared in College English and Conradiana, while his poems have most recently appeared in Narrative and The Stickman Review. SPIRIT THOM (Poetry division) is an improvising bard who works best with improvising musicians. He is addicted to free speech and freedom of assembly. He is published daily in the GONZO blog from Devon, England. He is convinced the the BEST poem is the NEXT poem. Catch Thom at every open mic in Austin, including the Lion & Pirate!